Tina joined our team as a paralegal in 2009. She manages many of the cases in our plaintiff bodily injury group and ensures that clients get our full attention and support during their recovery process. She is a compassionate individual and a creative thinker, making her a fantastic aid to our clients and a great mentor to junior paralegals. Before joining Whitelaw Twining, Tina worked for several years in the field of insurance litigation. 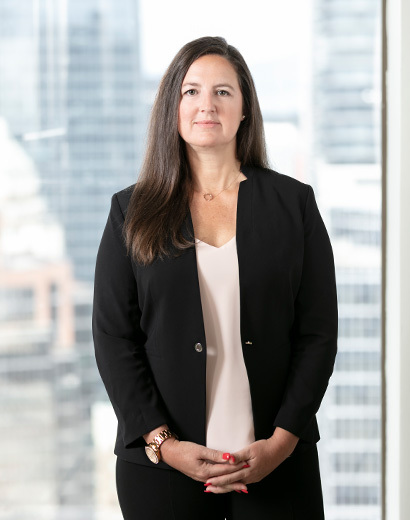 She has a wealth of experience working on both the defence and plaintiff sides, so she uses this well-rounded perspective to her advantage at our firm. She supports our senior directors and associates with all aspects of litigation including case management, preparation for examination for discovery and trial, law research, retention of experts, evidence analysis, and most importantly, client management. Tina sets aside time every week for new adventures. On the weekends, she likes to explore different trails with her dog, advance her yoga practice and take care of her garden.